Dog bite cases involve an entirely different set of dynamics from other types of personal injury cases. You are usually dealing with a homeowners' insurance company, the police are often not involved, and instead you may find yourself dealing with a County Dog Officer. Claims for scarring and disfigurement are common, in addition to claims for pain and suffering. 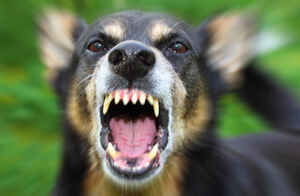 Most importantly, in addition to showing that the dog owner failed to keep their animal under control, you will most likely be required to demonstrate that the owner knew or should have known that the dog was likely to bite. This will involve a thorough investigation of any prior incidents involving the same animal. Our personal injury lawyers in Lancaster County are experienced at handling dog bite cases, and as a result we are familiar with the relevant laws, as well as the necessary investigative techniques to maximize your recovery. We are experienced at negotiating settlement amounts for scarring and disfigurement and/or for the fact that someone must undergo "plastic surgery" to repair scarring and disfigurement. This wealth of knowledge means that you, the client, are far more likely to receive a substantially larger recovery than you would if your claim were to be handled unrepresented or by someone with less experience.